While some people may think that having a few missing teeth is no big deal, the long term ramifications are more than just gaps in your smile and missing out on your favorite foods. Missing teeth can lead to your gums and jawbone shrinking, your teeth becoming misaligned, and poor nutrition due to limited choices. Partial dentures help protect your teeth and jaw while ensuring you can enjoy a full range of food choices. Are Partial Dentures A Good Choice For My Case? 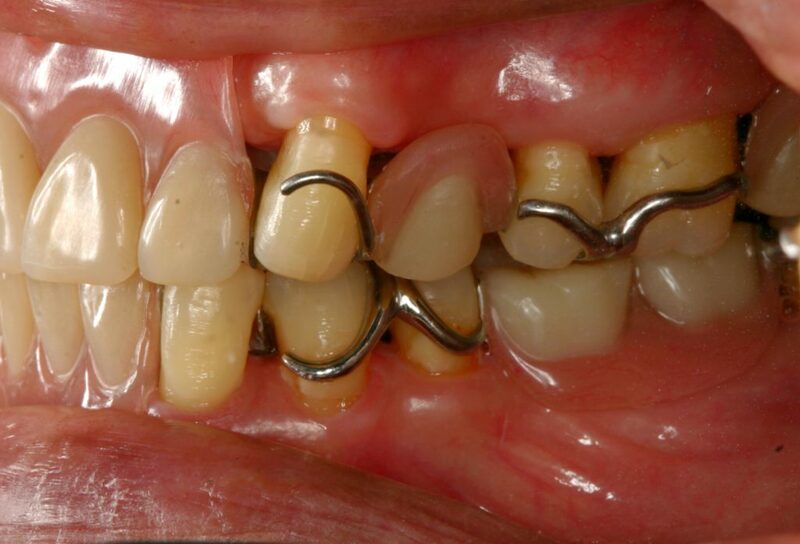 If you’re missing any of your teeth a partial denture is probably a good choice for your ongoing oral health. Missing teeth do more than just make it hard to chew, and can actually cause lasting damage to your remaining teeth by their absence. One function your teeth perform that isn’t immediately obvious is supporting the surrounding teeth so they wear evenly and remain firmly in position. Without the other teeth to help hold them in place, your teeth can start to shift in position. Your gums and jawbone can also shrink in areas where teeth are absent. Is It Expensive To Get Partial Dentures? Dentures are one of the most affordable options for replacing missing teeth and restoring a full and effective smile. Dental implants are an emerging favorite but their cost tends to make them prohibitive for some patients. Partial dentures are a great solution for these patients as they help to retain the position of your teeth, evenly distribute wear, and retain the strength and function of your gums and jawline. Is It Safe To Sleep With my Partials In? Most professionals strongly advise against sleeping with your dentures in both for your own safety and for the long-term survivability of the denture. Partials are not cemented in nor permanently affixed to your teeth, so they can slip and move during the night if worn while sleeping. This can lead to choking, damage to the partial, especially if you have a tendency to grind your teeth in your sleep. Additionally, the gums need a break from the dentures and the dentures need to be cleaned regularly to maintain long term function. What Foods Should I Avoid While Wearing Partials? While partial dentures make it possible to enjoy most of your favorite foods there are some things that you should avoid. The most prominent being those that are exceptionally hard or sticky. These foods could potentially damage the partial and are best avoided as a result. When you first get your partials you’ll want to stick to softer foods while your mouth gets used to them, but after that, you can enjoy almost anything! If you’re considering getting partial dentures and are needing a consultation with an experienced physician, pick up the phone and call Superb Dental Care in Pasadena, CA. Under the leadership of Dr. Reynaldo Barbon, this team of experts provides exceptional dental care for patients at every stage of life, and have improved the lives of hundreds by restoring their ability to smile with pride.